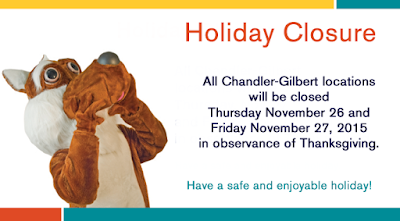 Just a friendly reminder, Chandler-Gilbert Community College campuses will be closed this Thursday and Friday in observance of the Thanksgiving holiday. Classes will resume on Monday, November 30. Enjoy your holiday weekend with family and friends.